If Brașov itself is one of the must-visit attractions in Romania, a city with a medieval ambience, encircled by outstanding mountain landscapes, there are also plenty of small villages and towns close to the city that certainly deserve a visit. Southern Transylvania is scattered with picturesque Saxon villages and impressive fortified churches as well as whimsical mountain settlements are just waiting to be discovered. Lying at the foot of the mountains, in an endearing valley, the village of Moieciu de Sus is known for its pastoral traditions and for one of the most famous types of cheese in the country: brânza de burduf. 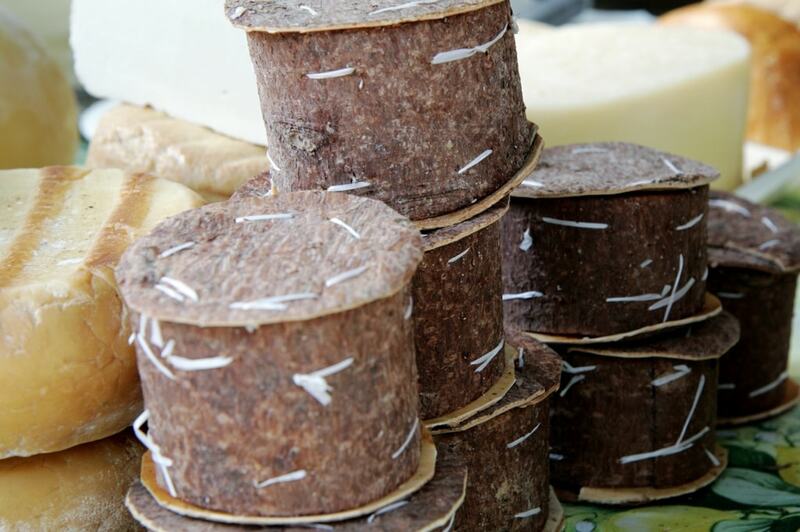 This one-of-a-kind variety is prepared at the Bucegi Farm: cheese matured in fir tree bark, today appreciated worldwide. During the 18th century, this type of cheese was also used as an item of exchange. Visiting the village is a great opportunity to marvel at the stunning landscapes and to taste this delicious cheese. A piece of heaven, Măgura is a pristine village in the Piatra Craiului Mountains, a place filled with astonishing landscapes, peace, and calm – a place where modern technologies haven’t reached yet. Situated at a height of 1,000 meters (3,280 ft.), the village is ideal for a walk, either by foot or by bicycle. The locals are warm and welcoming, and if you plan to stay longer in this small paradise, you can rent a room in a guesthouse. A city that is more than 2,000 years old, Rupea’s history started when the Dacian settlement Rumidava was founded. After the Roman conquest, the name was changed in Rupes, meaning “stone.” In the Medieval era, a citadel was built on Cohalmului Hill, just next to the city, as a refuge for the villagers. 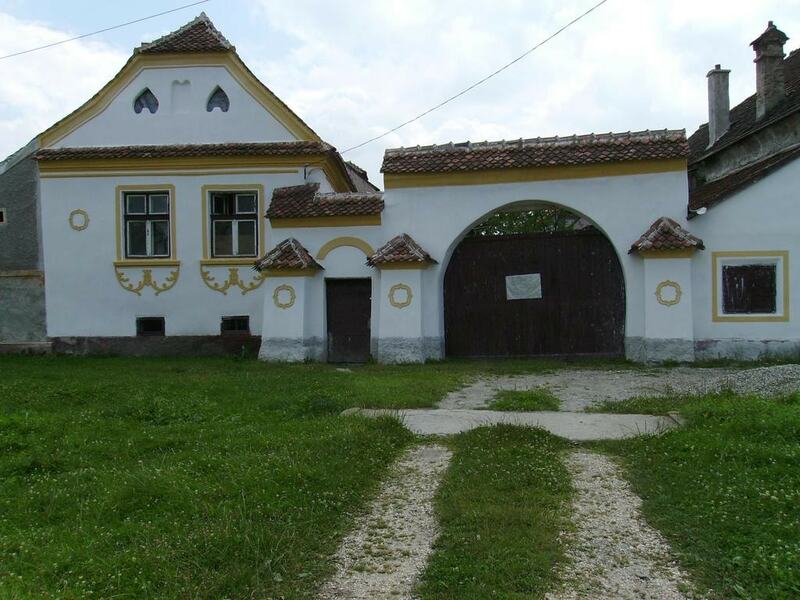 Rupea is also home to a fortified Gothic church, nowadays hidden among the more recent buildings. If you visit Rupea in October, you can take part in the Citadels’ Festival, a celebration mixing re-enactment performances with traditional music and dances. Guarded by the Bucegi and Piatra Craiului Mountains, Fundata is a picturesque village, situated at an elevation of 1,360 meters (4,461 ft.), being the highest-placed settlement in the country. 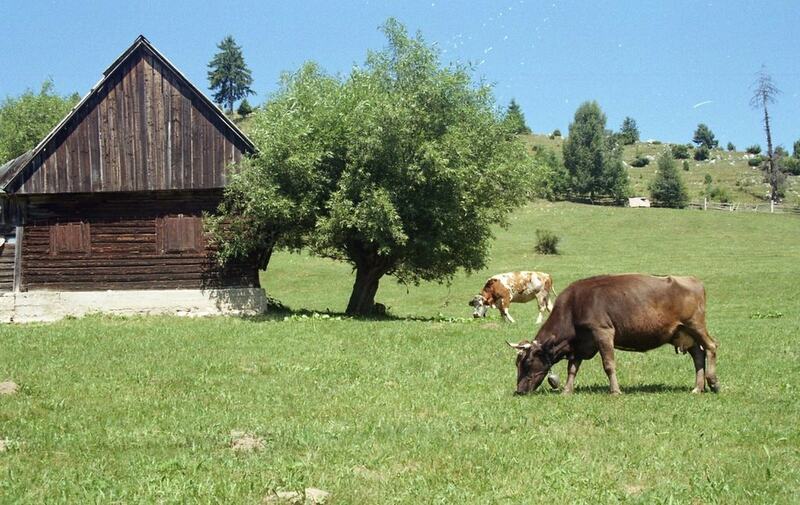 In Fundata, you can still experience the traditional lifestyle and encounter sheep and cows in the pastures. The fresh mountain air and the astounding landscapes have made Fundata a draw for tourists, now divided between traditional houses and modern guesthouses. From Fundata, you can start your journey into the mountains, exploring their wonders and falling under their charm. Declared the country’s first touristic village, Șirnea is a little piece of paradise. Keeping its traditional lifestyle, the village is a peaceful oasis. Over the year, several traditional feasts are celebrated. During the night of the Sânziene, all the locals go to the surrounding hills to collect the Sânziene flowers that allegedly have magic powers. In June, during the Măsura laptelui celebration, the village’s cows are milked, and the milk quantity obtained equals the cheese quantity they will receive. A truly peculiar village, Șona is a small village filled with mystery and legends. Eight mounds of mud create an unusual view. Called the Pyramids of Șona, the piles of mud are as high as 30 meters (98 ft.), and their origin is unknown. The locals think that they were made by giants that attacked the village centuries ago, when they shook the mud from their feet, letting the mud fall and form the odd mounds. Few people know about the village, but it is surely worth a visit for its unique features. The city of roses, Râșnov, is one of the settlements founded by the Teutonic Knights in Transylvania in the 13th century. 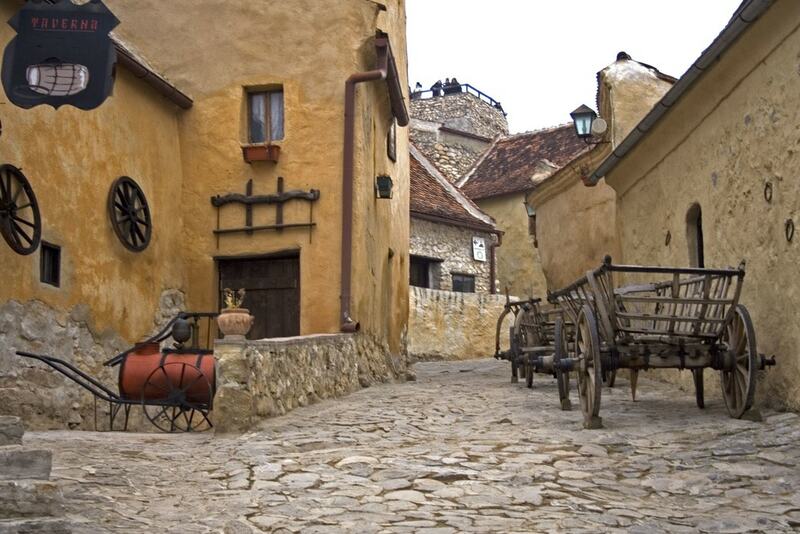 Beautiful Saxon houses are aligned along the main road, leading towards the Râșnov Citadel. Perched on a hill, the fortress protected the locals in times of assault, being conquered only once. Today, it is one of the main tourist spots in the area, boasting a 143-meter-deep well. A more modern attraction in the village is the themed park Dino Parc, featuring life-size dinosaurs, a 9D cinema, adventure trails, and plenty of games for children. A beautiful Saxon village, Prejmer’s was founded by the Teutonic Knights in the 13th century. Boasting a fortified church built in the Gothic style of Burgundy, introduced by the Cistercian monks living in the village of Cârța, Prejmer shelters the largest fortified church in southeastern Europe, an impressive fortification with thick walls and in-built rooms. 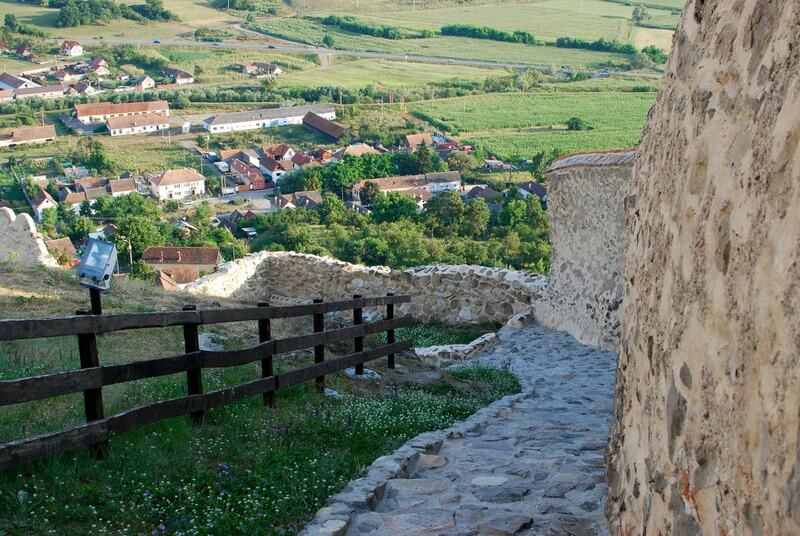 A fantastic site of heritage of the Saxon colonists, Prejmer is a not-to-be-missed landmark of Romania. A centuries-old village founded by the Saxon colonists, Rotbav is a picturesque village filled with legends. Its name, meaning “red stream,” was chosen after the village was assaulted and destroyed. Allegedly, after the battles, the water of the local stream turned red after the locals washed their clothes filled with blood. As the village was attacked several times by Turks, a fortification was built. The actual fortified church in Rotbav in one of the oldest of its kind. The Citadel has also its myths: the locals think that under the church, there are plenty of secret tunnels used in times of attack. Sited at the foothills of Piatra Craiului Mountains, Zărnești is an enchanting city. Wherever you look, you see beautiful houses and eye-catching mountain scenery. Zărnești is also the main departure point for hikes in the Piatra Craiului Mountains, a true paradise for nature lovers. Known for its hospitality, Zărnești has a population of welcoming locals. Near the city, you can visit the Liberty Bear Sanctuary, where 70 hectares of forest have become a new home for rescued brown bears.